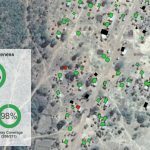 Partnering with The Chipata District Land Alliance through USAID’s Global Climate Change and Land Tenure program, Akros recently designed and deployed a mobile DHIS2 tool for rural Zambians to track changes in their land claims. 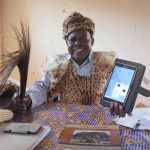 These data changes are immediately sent to the CDLA’s central repository, allowing the local chief to print and deliver customary land certificates. 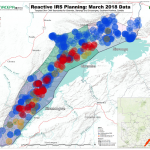 We put a lot of thought into re-designing a “health” software to monitor land rights. Yet it did not fully prepare us for how end users experienced the system. 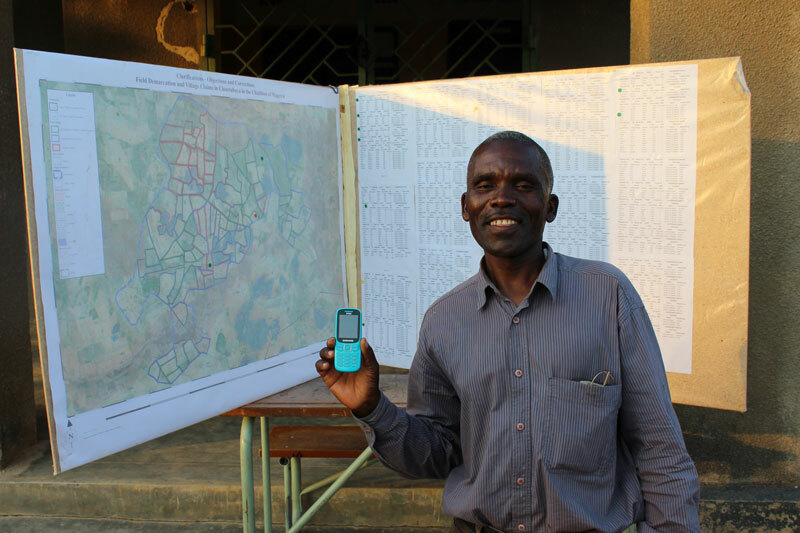 Juvensio Banda is the chairperson of the Village Land Committee (VLC) in Kalichero, Eastern Province. To our surprise, he’s also a Community Health Worker at the nearby Jerusalem Health Post. In the past month, he has reported twice through a DHIS2 portal Akros designed for a ZCAHRD study on mobile tools for integrated community case management (ICCM). 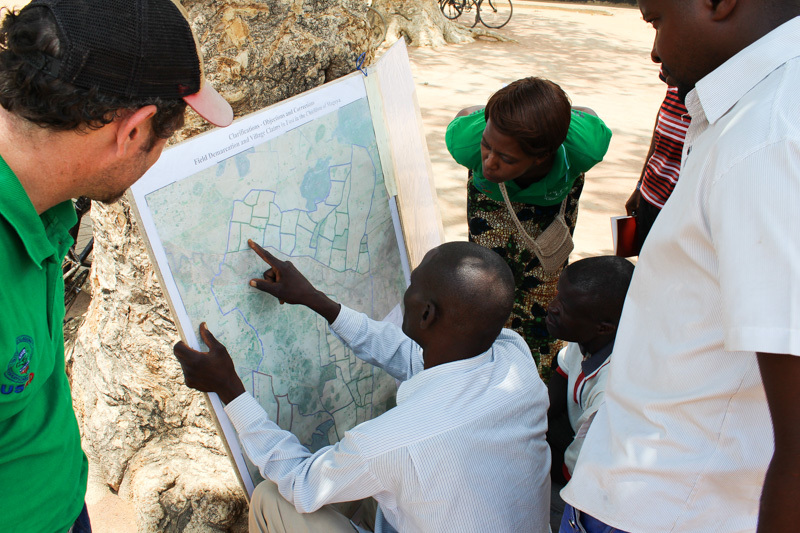 Precious Zulu (Chipata District Land Alliance) and Matt Sommerville (USAID) explore a map of land ownership in Kalichero, Zambia with local stakeholders. He also noted that using a single system for both roles smooths the learning curve. 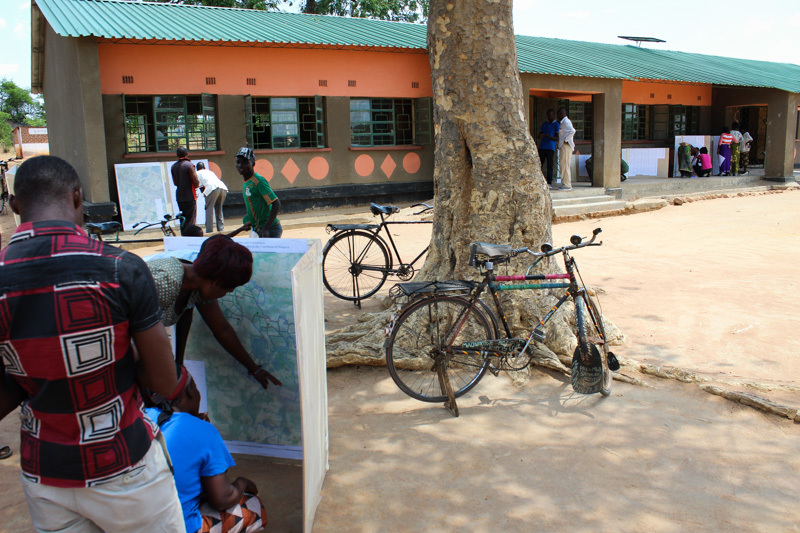 Community members gather around high-resolution satellite maps and registries displaying their village’s land claims, produced by the Chipata District Land Alliance with support from USAID. 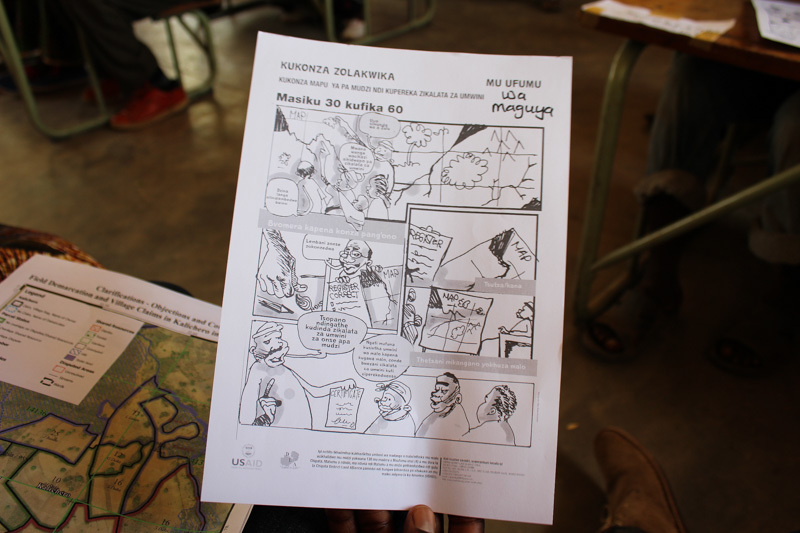 Cartoon by a Zambian artist explains the customary land tenure in the local language, Nyanja. Re-purposing mHealth tools for other sectors is one type of innovation. But from this experience I’ve seen that real cross-sector integration happens at the ground level. All rights are inherently integrated–as are an individual’s roles within the community. 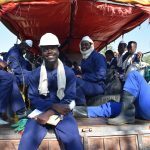 Technical innovation merely reflects the way rights and roles bind together through community service. Brian O’Donnell is an Health Informatics Officer for Akros and a 2015/2016 Global Health Corps fellow. 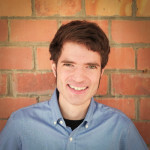 Prior to joining Akros, Brian was a project manager at AidData. He holds a Master of Public Affairs from The University of Texas-Austin and a Bachelor of Arts in Government from the College of William & Mary.